I was gifted with a beautiful and prolific key Lime Tree. It was big and bountiful...and was carefully planted in the back yard. just about all year round. Heaven in a glass...and good for ya too! Try it...I'll wait. It started to produce less and less fruit. delectable limes...I thought It was coming back. That was it's last valiant effort. It died soon after. and started adding them to the light. decked out in some autumn splendor. ....But, thats the way the Lime Tree falls. Im sorry you lost your lime tree but the chandy looks terrific! Love visiting here although I do not always get to commenting! Your home looks so cozy, frmo the peeks I see...and the posters are a hoot! I'm stealin' this idea. I'll have to find something other than a lime tree, though. There might be a dead persimmon tree by the creek. Your chandelier is glorious. Wonderful way to pay tribute to your lime tree, Linda. I want a chandy like this!!!! Have a nice weekend, Linda, and thanks for your visit and comment at my blog. Venha sempre! I'm sorry about your lime tree, but WOW your chandy looks AWESOME! But great post! Very cool brancholier! Awww....Thanks you guys. I was so sad about losing the lime that my oldest son said " Geez Mom...sounds like you lost a pet...are you THAT sad?" In that amazing teenage way that makes you feel about maybe 1 or possibly 2 inches tall. So...Thanks for feelin' it with me. I'm sorry about your little lime tree but WOW, he is stunning now! Aww, poor little lime tree. I'm glad it has one last hurrah! Brings back memories of the fantastic & prolific lime tree we had in the back garden of our previous house - how we miss it, especially in my Friday night Margarhitas! Hope the new Owners are enjoying them as much as we did. You broke my heart with that story!! Really...I was sad. Then I saw what you did with the poor remains and was reminded ONCE AGAIN how doggone cool you are. I'm impressed that you were able to work with the nasty little thorns! I just got a Meyer lemon to go along with our key lime. Can't wait to make lemonade. 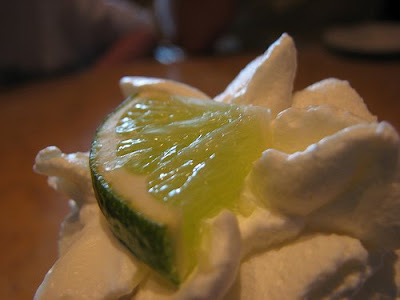 I can totally relate to the demise of your key lime 'cause the same thing happened to me in the past. The tree I have now is finicky and not particularly productive. This year we have NONE! However, I have friends that supply me with enough to keep me happy. I happen to have all the stuff for the drink, tried it, and wow, it's great! Thanks. The dead branches on the chandelier are absolutely divine! Love, love, love your blog. Linda I'm bummed about your key lime tree. I would of been sad too knowing it was a gift especially from your son. My favorite pie is Key lime pie. mmmm... I love how you made lemonade out of lemons, in this case limes! The tree didn't make it but you took the branches to create a masterpiece over your table. The branches should keep for you to bring out every fall, right? Who knew?? Key lime drinks and chandeliers AND pie! Today I post my 100 post and I choose some beautiful images that I found in Blogland since I became a blogger, and there are 3 pictures from your blog. Please come to see! Love key limes - and your decorated chandelier. 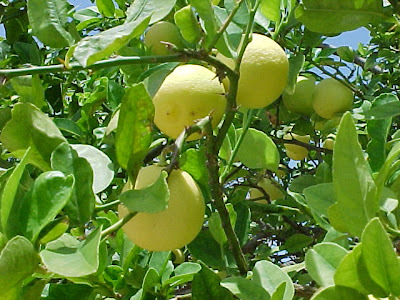 I have a little lemon tree but he doesn't seem to do very well. I love your blog, Linda! Poor lime tree...but living on beautifully in the casa! Oh, so sorry about your little lime tree! It looks wonderful now on your chandelier, though, love that. 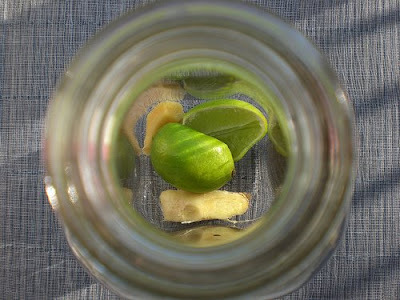 :) Now I HAVE to try this drink because I love limes AND ginger! What's that saying? When the world gives you lemons....limes....whatever. You certainly made beautiful limeade!!!! Love your Fall Chandelier! What a great idea!!!! I once had one too, but it was a lost cause for me. love the chandelier like this though. Thank you btw - for your sweetest message ever to me about Artie and his blog. You are too nice. thanks soooo much!!! really appreciated. That is just gorgeous what you did with the beloved lime tree. alllll the way over here, at the beach. I'm so sorry about your tree. However, you worked your magic and created an amazing Brancholier. How cool is that! I hope one day you can have another Key Lime that's just as good to you. I neglected to inform you that I was passing on the Creative Blogger Award to you and all of the other if you'd like them! Those magnificent colours of green. I can see an entire room in my head..all in those colours! Just discovered your blog and wondering why I had not discoered it earlier! What beautiful pictures!! Hmm....or maybe I was here before and forgot to come back. Eeek...my mind is doing terrible things to me lately. I will add you to my blog list. That way I will NEVER forget! What a beautiful blog, only found you today. Lots to be read! Hi Linda! Thanks for popping by the blog-home, I'm glad you enjoyed my hubby post. My lime tree just died, and I just cried. Hi Linda! Hey, I was writing a post on lighting, googled "brancholier" like it might really be a word, and found this! I hope you don't mind, but because it was a PERFECT fit, I borrowed one of your pics (with proper links attached of course). 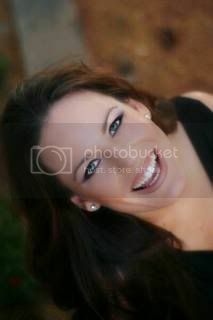 What ever became of your photo shoot? I missed it if it was published. Thanks a lot! I'm going back to my post now to triple-check that link! Love the Brancholier! What a great idea for the fallen lime, it went out in a blaze (light from chandy) of glory.